Cotton candy shaved ice flavoring syrup offers the sweet, sugary taste of actual cotton candy in a single snow cone. Kids absolutely love this flavor. But be careful, you might be hopping in the car to find the closest fairgrounds after one bite of this treat! This snow cone syrup is sure to make your mind wander to the last time you went to the county fair. Serve it up at your next party, it�s a crowd favorite! 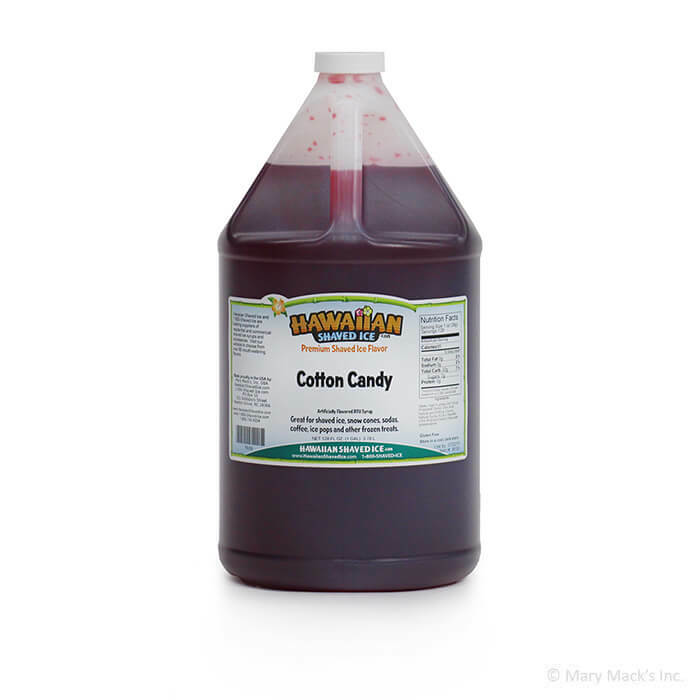 Try this flavoring on your next snow cone and watch as kids faces light up as they think about the last time they had a cotton candy treat. We are not responsible for the cost of your fair tickets! 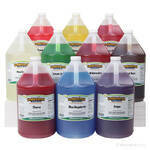 Buy this flavor in the gallon size to keep everyone�s taste buds occupied. We also sell this flavor in a quart size or consider an assorted package so you can include more of your favorite flavors.